Isn't It About Time That Your Business Made the Leap? Get your business noticed online with WebLeaps Website Design. 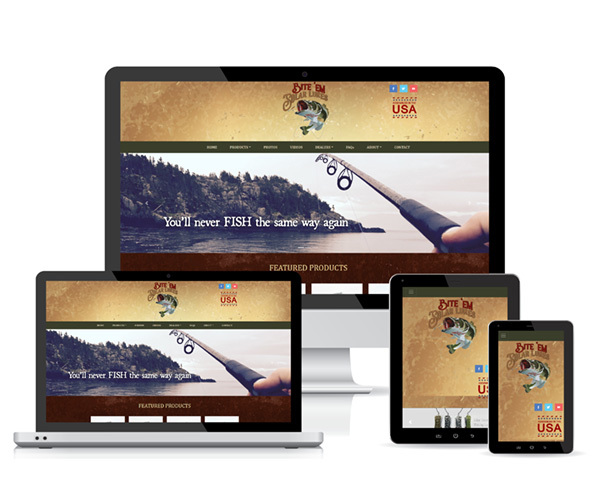 Based in the Poconos, we build custom one of a kind websites that are appealing to your website visitors, easy to navigate, functional and search engine friendly. We also offer Wordpress template websites for a more budget conscious option. From the Pocono Mountains to the Lehigh Valley to all across the US we're ready to help your business thrive online! All of our websites are designed in-house, and all of our custom sites are built from scratch based upon your ideas, style, and preferences. We create clean functional websites that are well designed and easy to navigate. Where you are located is not a problem, we can create for a local Poconos or Lehigh Valley Business, regional, or national business anywhere in the U.S. and even Canada, and once your website is complete we are available to update it as needed and answer any questions you may have. We also offer Wordpress website template options that are available at a lower rate, since there is not typically a design cost involved. Our Wordpress template sites are based upon existing designs and then customized with your logo, colors, and company look. With our Do-It-Yourself option you get the best of both worlds 1)Your Wordpress website is setup with WebLeaps on our hosting so you have peace of mind that it is done correctly. 2) You then save money by creating your own website. Unlike other 3rd party "Do-It-Yourself" options that may tie you into their 3rd party program (which means that you can not take your website "with you" if you choose to leave), Our Do-It-Yourself package is created with Wordpress which gives you the flexibility you desire. We know how important it is not only to have a website but to have a quality well-designed website that will give your company a great online image while also working as a sales and informational tool. 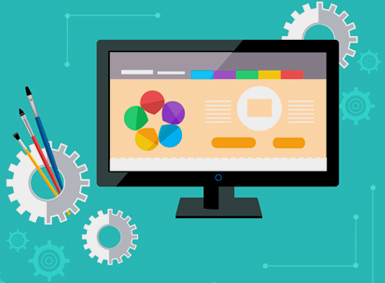 We offer custom designed websites which means that your website will be unique – no other company will have the same look! We will work with you from start to finish, and after completion, to keep your website updated and progress forward. In addition to creating new sites we also redesign older sites and provide hosting services. Domain name registration, website hosting, DNS, registrar, search engines, meta tags - we take the worry out of the website process by walking you step-by-step through the process answering any questions you may have. Contemplating a website for your business? Concerned that your current website is giving customers the wrong impression? The answer: a well-designed, well-maintained website with fresh, accurate content! With our custom website design services, we will build a website from the ground up that will be tailored specifically for your business, your business needs, and with your design preferences. There are few, if any, boundaries in terms of what we can create. With a custom site you know that no one else has a website like yours, and it allows room to grow for future upgrades. Worried about cost or timing? With a template website there is a quicker turn around time and a lower cost, but you are limited as to the customization of the design and features available. We offer Wordpress powered CMS (Content Management System) websites for clients that want to have a blog website or just want to be able to easily update the content of their website. 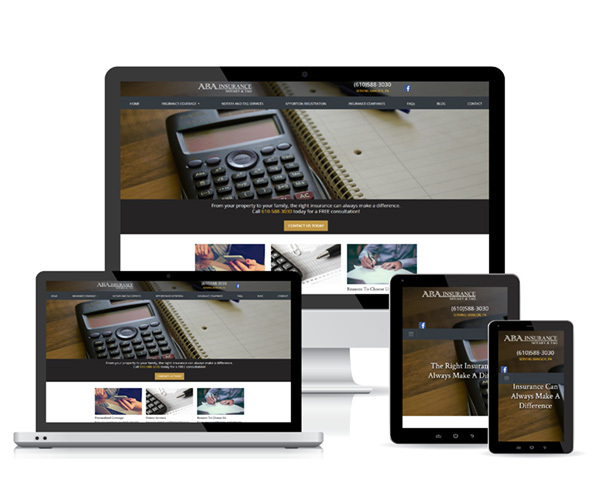 For clients on a limited budget or who want to get their website up quickly, this is a great option and allows for a custom theme design in the future. Based upon what we discuss we will provide you with a written quote. Once the quote is approved we ask for the signed contract and the first 1/2 payment to get started. We will start working on a design for custom websites, or picking out a template for Wordpress websites. We will start work on the website design portion and ask that you start collecting information and then send us your logo, content, photos and videos in a digital format. For custom websites we will provide you with a flat image as to what your website will look like. You will not be able to click on anything, images and text may be "dummy text" or photos for demo purposes. It is during this stage all major design changes must be decided on (colors, layout, etc.) before moving to the next stage. We allow up to 5 major revisions (for example changing the background color and layout for the top of the website, adding a phone number would all fall under 1 revision. For template designs you will choose a template during this phase. Color changes and layout changes are determined by the template you are using and may be restricted to certain colors/layouts. Once the design is approved we will create the actual website and implement all content. We will then send you a private link to the live website for review and will make any final changes necessary. Once the website is approved we ask for the final 1/2 payment before launching the website live. Once we receive final payment we will make the website live and submit it to search engines. 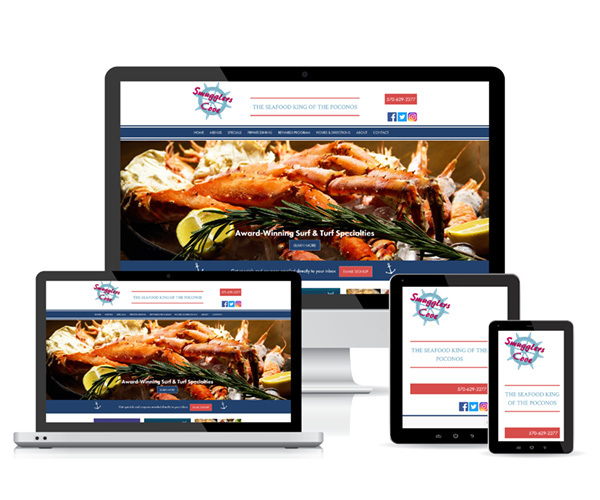 Responsive Design is a way of designing a website so that it looks great on desktops and laptops, as well as smaller devices like tablets and smartphones. Responsive design is not a popular fad or add-on, it is a newer way of designing websites and the gold standard for building any new website. If your current website is not responsively designed you may soon be penalized in search engine rankings for mobile searches. Unfortunately an existing design cannot simply be reworked to make it responsive, as the code is completely different. It uses the code to determine what size resolution your device is using, whether a desktop, tablet or mobile device and then scales the website to that size for optimal viewing. Previously, if you wanted a "mobile website," you had a website built and a second website that was created only for mobile users. The problem is that many times mobile websites cut out key features with no way for your customer to access the full website. 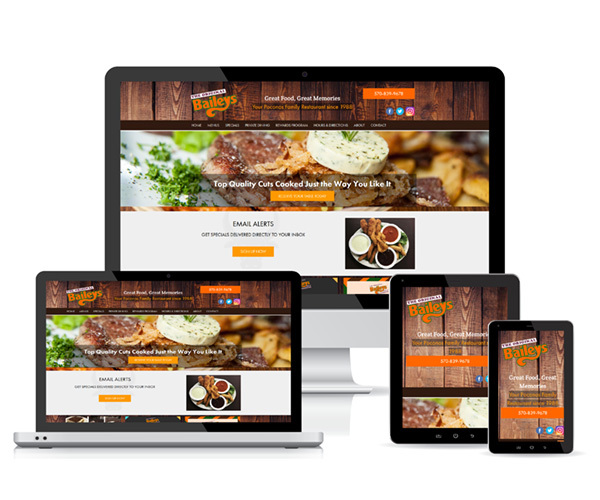 A responsively designed website is the same exact website, with all of the same content, features, and images. Instead of just scaling down the website, which can lead to small font sizes and a lot of scrolling, a responsive designed website can stack elements making for an ideal mobile and tablet browsing experience. 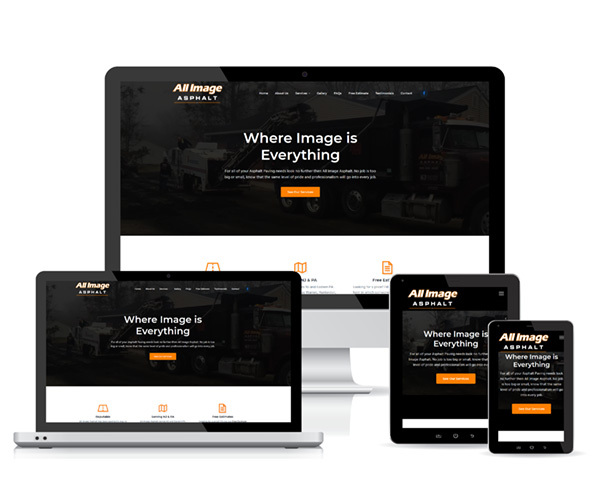 You can view our portfolio for some samples, or call us today at 570-629-6980 to discuss having a responsively designed website created for your company.